Select from one of our pre-built survey templates, or let our designers do our thing. Nobody likes a boring survey. Engage your respondents with custom question types and advanced logic. Worry less about response rate, and more about what to do with all the data. Analyze your reports using our robust reporting tools, or export to CSV or Excel formats. Publish your surveys to iPad, or distribute via social media, e-mail, and web links. No matter what medium your respondents use, we make it easy to reach them with one click. Survey creation is tricky business, and an extra set of eyes never hurt. Collaborate and share notes with your team using our collaboration features. We’ve built our software to be easy enough for our CEO’s mom, but powerful enough for a keener executive to manipulate at will. It’s not complicated. No IT staff required. With over 70% of the world’s population owning a mobile phone and the statistics are rapidly growing, response rates can significantly improve by utilizing mobile surveying. Your customers usually always have their phone with them, turned on and able to respond ‘in the moment’ during their customer service experience. While online surveys commonly attract the ‘outsiders’, those either very happy or very unhappy, mobile surveys can void the gap and boost response rates. Mobile surveys that run in conjunction with standard online surveys, can combine the data received by both methods into one standardize reporting function. 1: Offer multiple access points to complete a survey: There are three access points that you will want your survey to be available to your customers. To make your survey available at each access point, consider how you can promote your survey at your service counter, at your checkout line, on your invoices and receipts, on your web site (start survey now button), by personalized e-mail, social media sites, blogs, just to name few touch points. Don’t limit your survey efforts to any one method. Your customers have different lifestyles, different backgrounds and computer skills. Consider using any combination of the following survey methods: e-mail blast with direct links to online surveys, redirect and copy/paste of URLs, mobile surveys, and telephone based surveys which typically offer the largest response rates in a short time period. 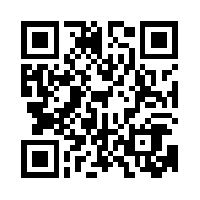 Mobile QR Code: You can scan these with your mobile devices to automatically embed contact details / Links to Surveys / Special Offers and more!